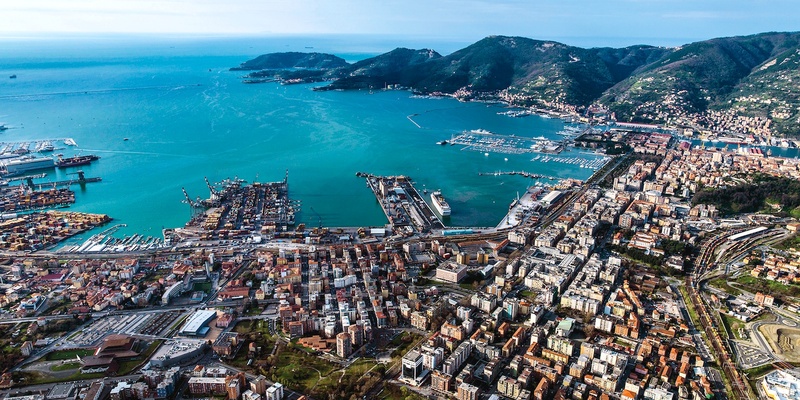 The beauty of the coast and the maritime villages are, undoubtedly, the main attraction of the area; however, La Spezia has in store a few surprises. A walk along the promenade reveals a great panorama over the entire bay, with the Apuan Alps dominating the view. Another scenic gem can be admired from Castello di San Giorgio, renovated over time and recently restored to house the Museo Civico Formentini and its interesting archaeological collection. Among the other museums, noteworthy are the CAMeC – the Center for Modern and Contemporary Art - exhibiting a vast collection from the early 20th Century, and the Museo Civico Amedeo Lia, with masterpieces from Sebastiano del Piombo, Tintoretto, Tiziano and Pontormo. 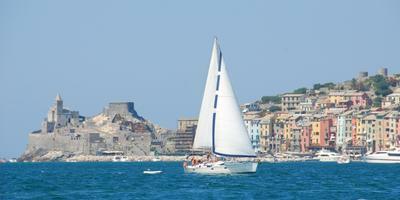 Lerici and Porto Venere, facing each other across the Gulf of La Spezia, are must-see destinations. 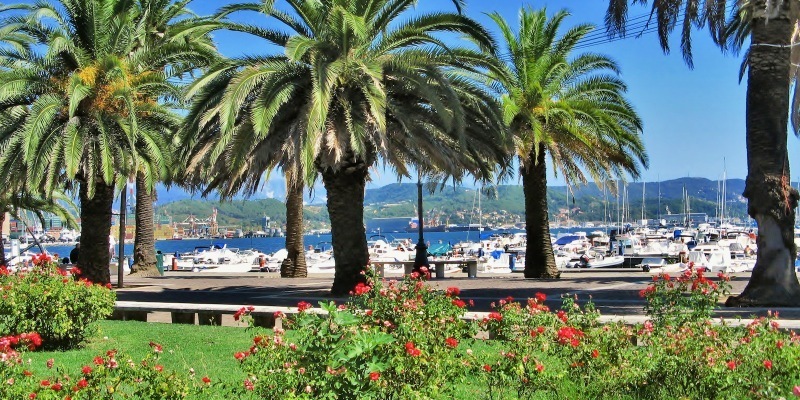 The icon of Lerici is its impressive Castle, one of the most interesting defensive structures in the Region, and whence one can enjoy an unobstructed view of Palmaria Island. Narrow carruggi and steep stairs wind past the picturesque houses of Lerici’s old town. Art, nature and the sea are the three elements that set apart Porto Venere, with its small port at the bottom of the old town, the steep stairs that give the impression of hanging suspended over the cliff, and the brightly-colored houses dotting the green of the maquis. Visit the small Church of San Pietro - which seems to be one with the rock upon which it is built - and the Islets of Palmaria, Tino and Tinetto, now part of the Porto Venere Natural Park. Less known, yet charming, are Ameglia, Tellaro, Bocca di Magra and Montemarcello, immersed in a gorgeous scenery: a steep slope to the sea, with multi-colored homes hanging onto the rock, and terraces with vineyards and olive groves, cliffs and coves open to a deep blue sea. The landscape seems but a painting and a harbinger of what is to come,i.e. the Cinque Terre. 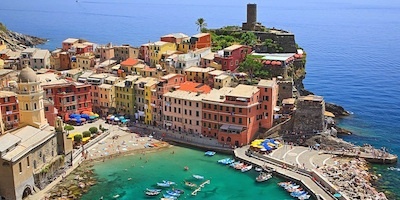 Monterosso, Vernazza, Corniglia, Manarola and Riomaggiore are "five lands" marked by their incomparable beauty. Visit them one after the other along the Via dell'Amore or "Way of Love," the high-altitude path that links them all. It is the ideal itinerary for enjoying artistic and historical treasures, and for discovering the remotest corners of the area; each step is accompanied by colors and scents of agave, broom and mimosa. Past the Cinque Terre, our tour traces the coast, where nature dominates yet where the towns offer all the comforts. Also known as the Valle dei Borghi Rotondi (the "Valley of the Rotund Villages"), Val di Vara is dotted with age-old charming villages; here the streets, piazzas and houses follow a plan dominated by the church or castle, as is the case with Medieval urban planning. Fresh streams cross the dense woods and the green valleys. Remarkable are the Castle overlooking Varese Ligure, built around the Church of San Filippo Neri and Santa Teresa d’Avila, and the Brugnato Cathedral, erected upon an old Benedictine settlement, now visible through glass. Val di Magra is a variety of landscapes in one, lying between two mountain ranges and traversed by the homonymous River. Ancient villages, characterized by their Medieval plans, are scattered around this expanse on the border with Tuscany. 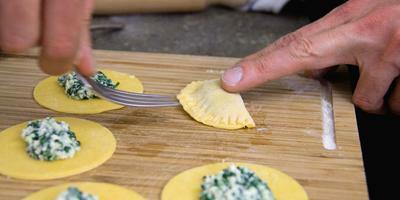 In addition to a visit to the two Fortresses and the Cathedral, every year Sarzana hosts cultural events and festivals to celebrate the local products. The Guinigi Tower, 108 ft high, rises above the town of Ortonovo, famous for its proximity to one of the nation’s most important archaeological sites – Luni – with its remains from the ancient Roman town.